Sure hope you had a lovely weekend. Mine was great, except for some body pains from torturing myself at the gym. Trying to stay fit sure ain’t easy. I blame food for all this mess. Why does it have to be so damn good!!? Talk about rubbing it in, right!? Smh! Anyways, -whether slow metabolism or not, all we can do is put in a little effort. 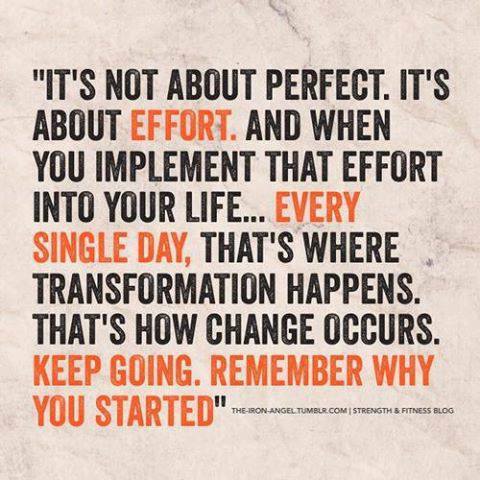 Anywhere we want to go in life and everything we want to do in life requires effort. That little push can get us there or close to it. Perfection? Forget it! No one has reached that continent yet, but people are sure near it.